The word forgive has several meanings. 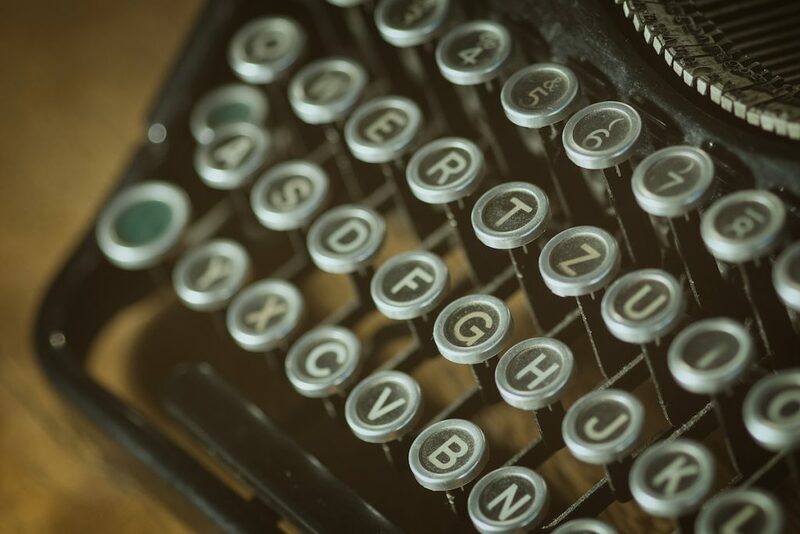 “To grant pardon… to absolve.. to give up all claim… to cease to feel resentment against…to cancel an indebtedness…” It becomes all the more complex when we’re talking about forgiving yourself. How do you know you’re not simply letting yourself off the hook? That you’re not taking responsibility for your actions? Is there a statute of limitations on guilt? If you forgive yourself, does that mean you have no more remorse? Shame and guilt reside on many different levels. Perhaps you married someone you didn’t really love and eventually divorced. Maybe as a kid you stole money from your parents and blamed your brother. Maybe you were depressed and tried to take your own life. But does that mean all is okay now? How do you actually forgive yourself? There are certainly many people in the world who never take responsibility or blame for their actions. They struggle with narcissism, meaning they’re highly self-absorbed and can be extremely manipulative. They not only let themselves off the hook far too easily, they may never hang themselves on it in the first place. The following prayer, The Narcissist’s Prayer, s funny — unless of course you’re on the receiving end of these words. That didn’t happen. And if it did, it wasn’t that bad. And if it was, that’s not a big deal. And if it is, that’s not my fault. And if it was, I didn’t mean it. And if I did — You deserved it. That’s narcissism all right. There’s tremendous insecurity underneath that relentless barrage of blame, but that doesn’t change the damage done. But what if you struggle with forgiving yourself? There’s not a narcissistic bone in your body. What if you wake up in the middle of the night and obsess about the smallest of things — everything from what you said at a party to who you slept with in high school to the catty thing you said about a friend five years ago? What if they’re more serious things that you can’t trivialize — that you realize now were mistakes? If you suffer with anxiety, these thoughts can run you ragged, keep you up at night and stop you from ever having a true sense of self-esteem. You can never — even in your own mind — live down your past. You can feel hopeless and trapped. Some people have the ability to allow their faith to guide them to forgiveness, both for others and for themselves. And that can be a huge blessing. Others, especially those with depression and anxiety, are completely weighed down by shame. I’m not a pastor nor a spiritual guide. But I’ve looked into many a tearful eye and tried to answer this question. There are three things I usually say. 1. You can make a choice to be engaged with the present, instead of the past. A lack of self-forgiveness keeps you rooted in the past. Maybe half of you is in the present, open to opportunities and ideas around you. But the other half is focused back on whatever happened years ago. So guess what? You’re going to miss all of who you could be in this moment, and even rob the people in your life now from having a dad or mom, a friend or a colleague, who’s fully engaged. Knowing how to forgive yourself is vital to being able to live in the present — to not drag around a huge burden of shame for things that were impulsive misjudgments or even intentional acts that you now believe were hurtful mistakes. 2. You can learn to tolerate and accept the mistake. Years ago, I tried to fix a mistake by making another one. 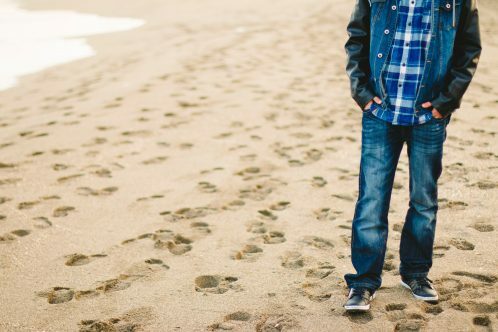 I was dating someone who’d been abusive to me. I was ashamed of not getting out, so I married him in order to convince myself (and probably others) that the relationship had been right all the time. It was all going to work out. Letting go of guilt and shame doesn’t involve relabeling a mistake as not a mistake. It doesn’t mean justifying or rationalizing it. It takes having the integrity to admit to yourself that you were wrong — that you’d been hurtful to others and perhaps yourself, and that you can tolerate that knowledge. Your mistake doesn’t define you any more than the choices you’re proud of. We’re all a composite of our mistakes, our foolishness, our selfishness — whatever — and our successes, the things we don’t mind others knowing about us. 3. 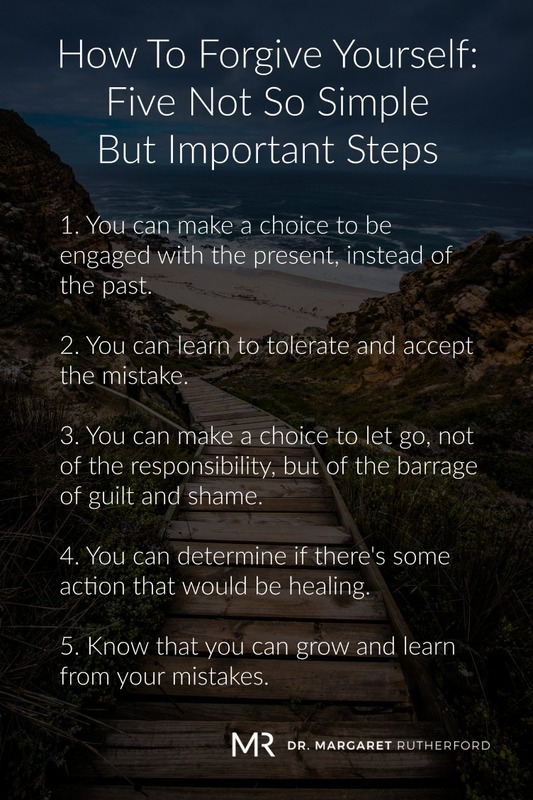 You can make a choice to let go, not of the responsibility, but of the barrage of guilt and shame. There’s a difference between taking responsibility for the hurtful impact your choices made on others, and carrying around guilt for years and years. The first reflects integrity. The second can be self-destructive. And if it turns into shame, where you not only feel guilt, but begin defining yourself as a “bad person” because you did it, then you can have more severe problems. 4. You can determine if there’s some action that would be healing. Think about if there’s something you can do to help remedy the mistake. There may not be. Or you might be able to think of something. If so, act on it after giving it some thought. Be careful. Remember you can’t fix it — but there may be an action that feels healing. 5. Know that you can grow and learn from your mistakes. “Shame is a helpful emotion if it lasts ten seconds and leads to a change in behavior.” A former supervisor told me that years ago. It’s good advice. Decide how you want to let an old mistake, or one that you just made yesterday, change the way you behave. And then go for it. You actually learn far more from mistakes you make than you do successes. Ultimately it’s a choice. Your choice to let go, or to stay unforgiven. Click here for “Marriage Is Not For Chickens,” a gift book by Dr. Margaret! It’s perfect for engagements, anniversaries, weddings, or for the person you love! 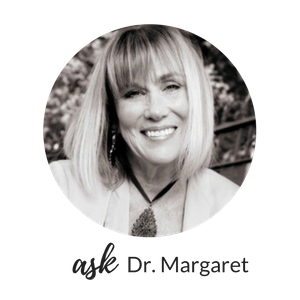 Hear more about relationship issues and many other topics by listening to Dr. Margaret’s new podcast, SelfWork with Dr. Margaret Rutherford. You can also join her private Facebook group for the opportunity to engage with Dr. Margaret and other readers and listeners, SelfWork – Strength, Empathy, Laugher & Friendship.